There are so many pictures coming in from Alabama that they need their own page!! Here are some pictures of the Bama Belles Bee!!!! 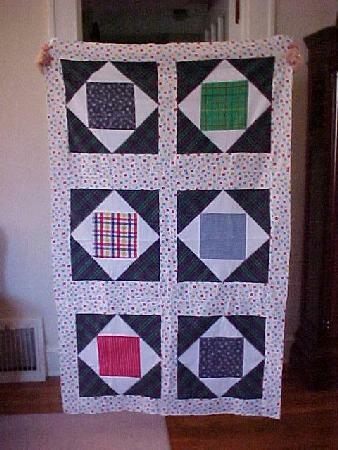 We have completed 5 tops today so far with lots of quilts almost finished!! We have a total of 12 tops finished (7 were made prior to today!). There is a house full here at Joys!! 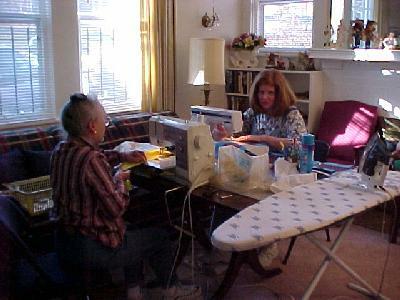 Linda & myself (Shannon), and some friends from Joys quilting group: Marti, Betsy 1, and Betsy 2, Jane, Jaudone. More will be in and out all weekend! We are having a great time and getting lots of things done! 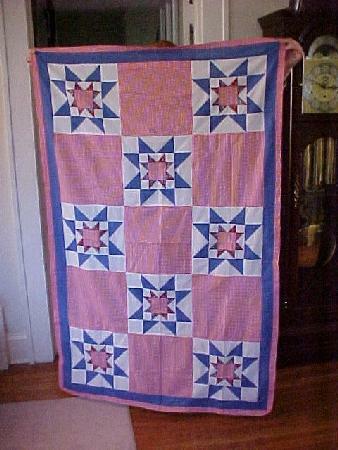 Hope everyone else is doing great and making lots of quilts for the babies! 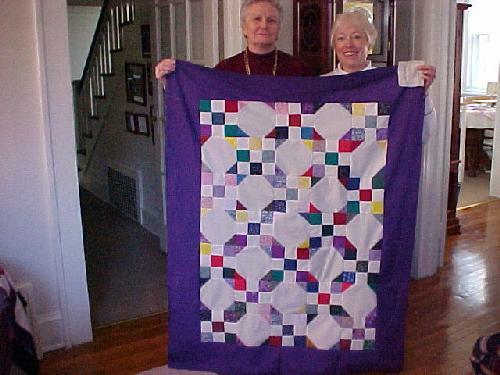 This weekend we are experiencing colder than normal temps so this is the perfect quilting weekend! 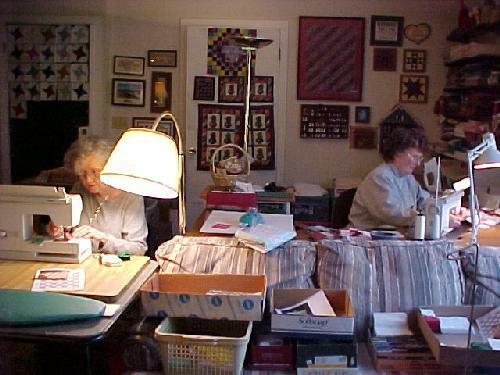 The first picture is of Linda and Betsy working away at their machines! 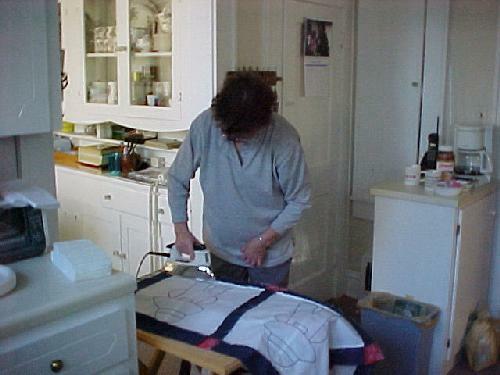 This picture is of Jane ironing a completed top! Here is a picture in Joys Room!! Joy and Marti are working on their tops! 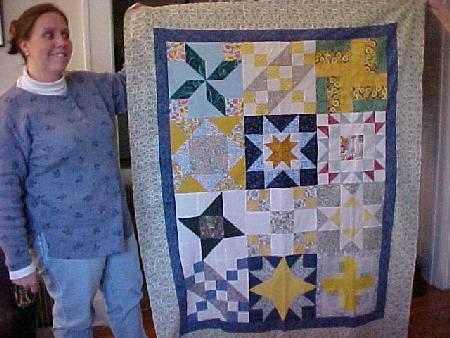 Shannon and her cat quilt top made prior to today - one more border will be added to finish the top! 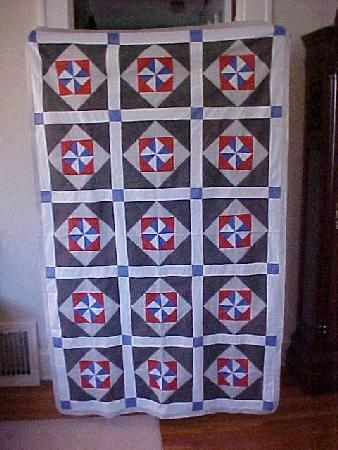 This is a picture of Shannon's sampler quilt made in advance for this weekend! 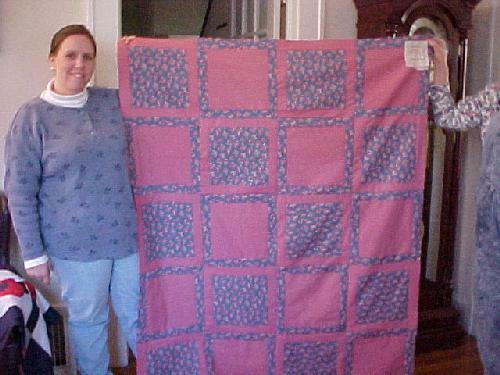 Picture of a flannel top made by Linda using Square in a Square! 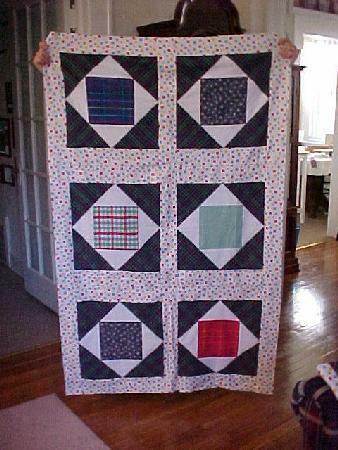 This is a picture of a second flannel top that Linda made using Square in a Square! 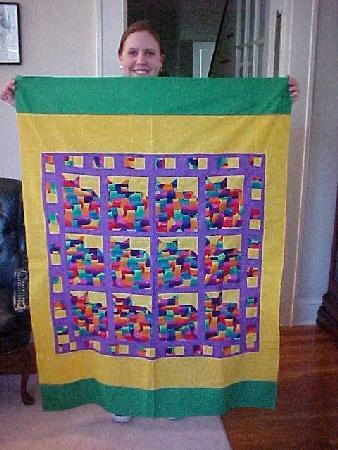 Here is a picture of one of two quilts sent by Lindas Mom for WTIL. This is Elsies Square in a Square! 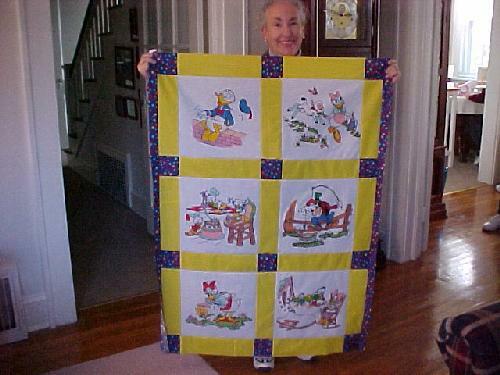 Betsy completed this Micky Mouse theme quilt top today! 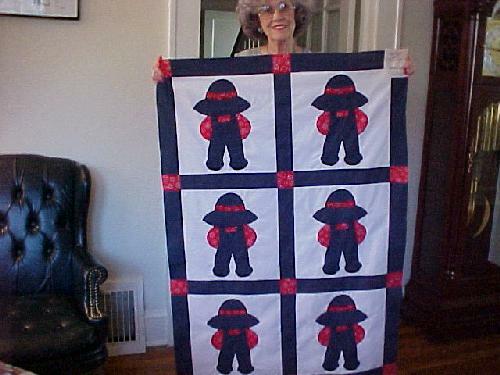 Linda with her Sun Bonnet Sue completed today! 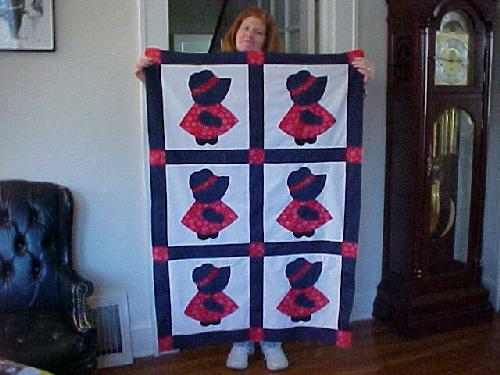 Marti with her Sun Bonnet Sam completed today! Betsy & Jaudon with a snowball completed today! Shannon and a rainy day satisfaction cut by Linda and pieced by Shannon today!